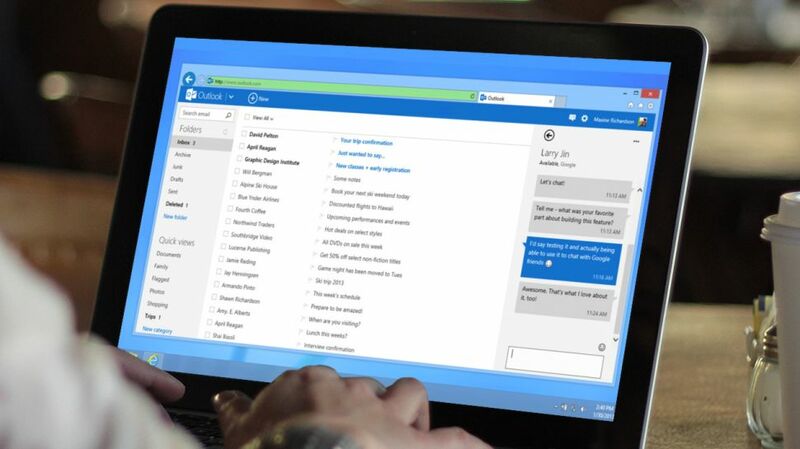 If you use Microsoft’s online email service Outlook.com, then you’ll be pleased to know that the company will be adding new ‘intelligent’ features to its email and calendar tools to make them more powerful and to hopefully save you some time as well. In a blog post announcing the new features, Microsoft explains what makes them intelligent. First of all, there are Meeting Insights, which will use Microsoft Graph technology to allow Outlook to recommend relevant information for the upcoming meeting. So, it could gather together relevant Office documents that you can refer to in the meeting. 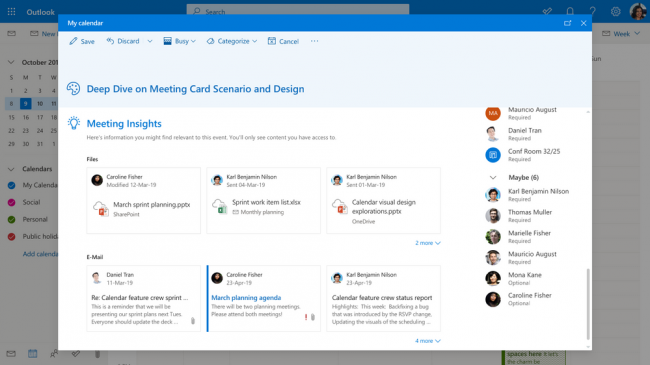 According to Microsoft, “The information includes files that have been shared with you in an email, public files on SharePoint or OneDrive, emails you’ve had on the meeting topic, content shared during the meeting, meeting notes, and post-meeting content,” and the information will be uniquely tailored for each person.